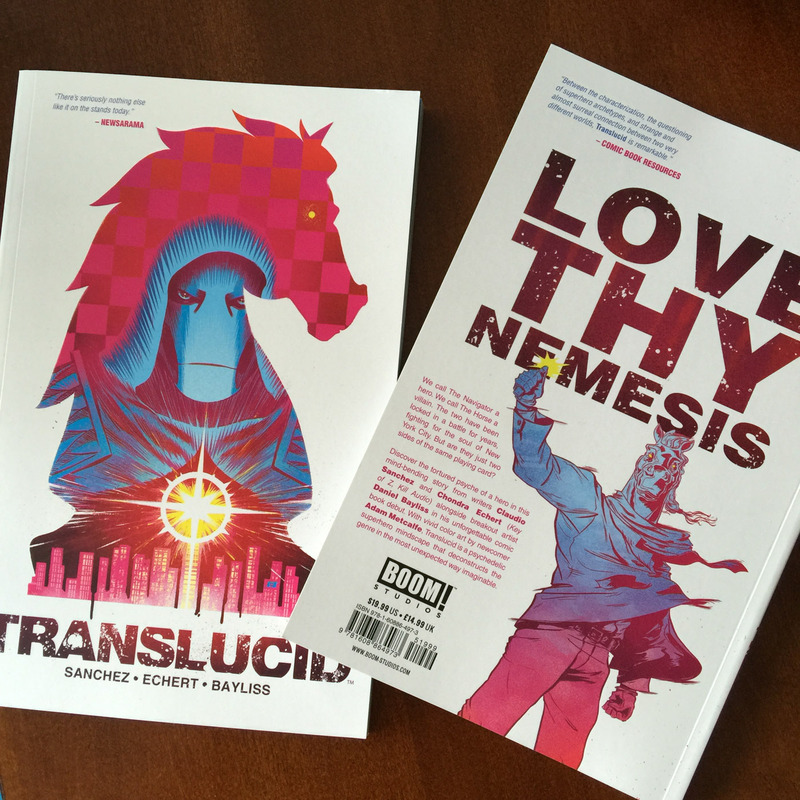 The latest work from Husboy and I, TRANSLUCID, is available today in trade paperback form! A trippy take on the superhero genre, it’s a 6-issue layer cake of mind-exploration, psychological games and unadulterated love…with horse and hologram sprinkles. 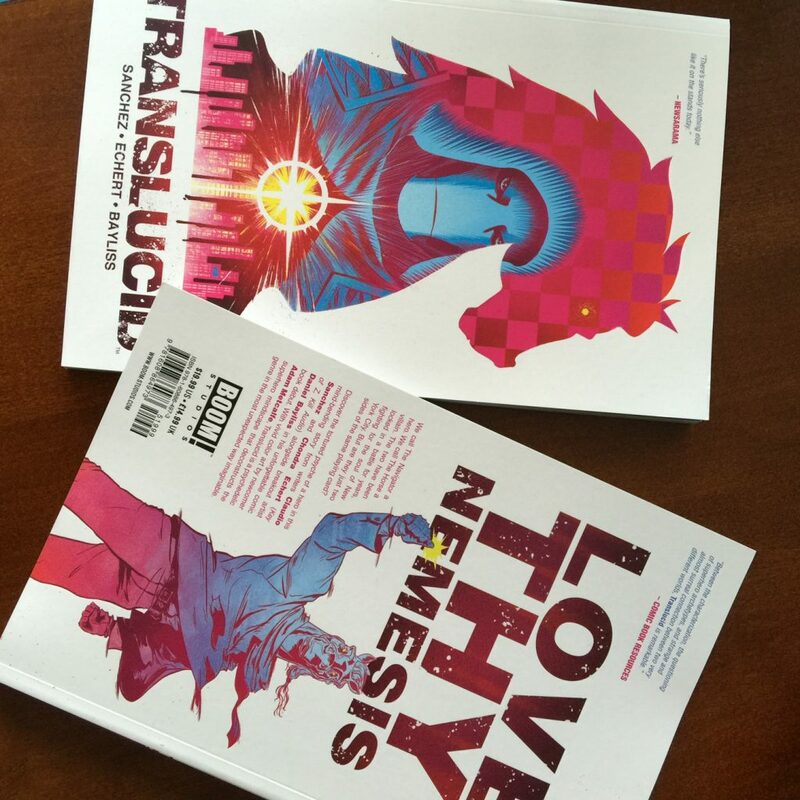 You can get it at your local comic book shop or online. Kiss, kiss!